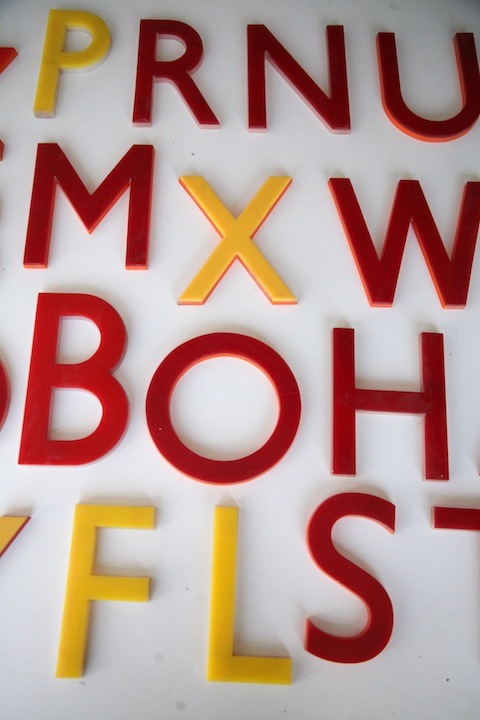 A set of plastic shop letters yellow and red. 13cm highest (£15). See last photo for scale. 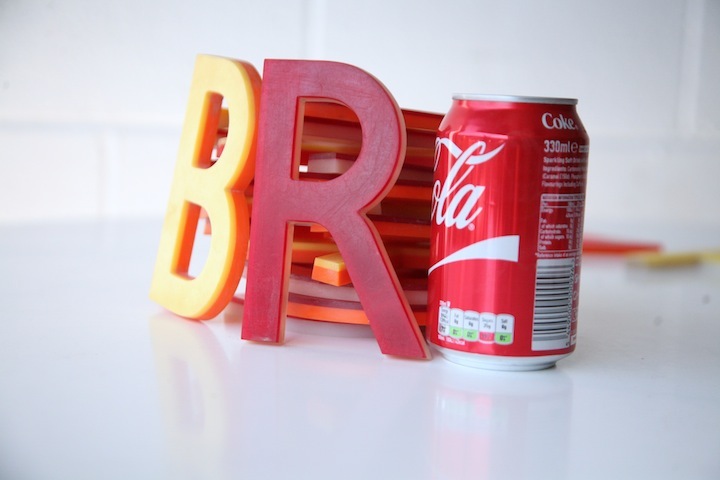 These letters were reclaimed from a disused letter factory and had been in storage for several years. 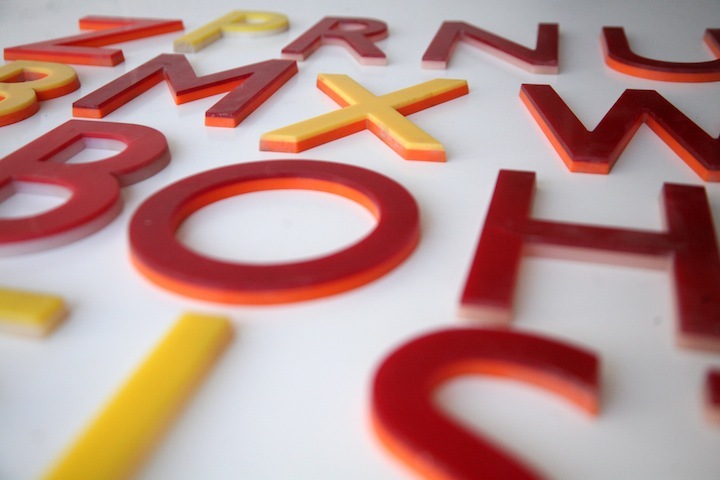 Most of the letters were factory samples and therefore were never used and are extremely rare. 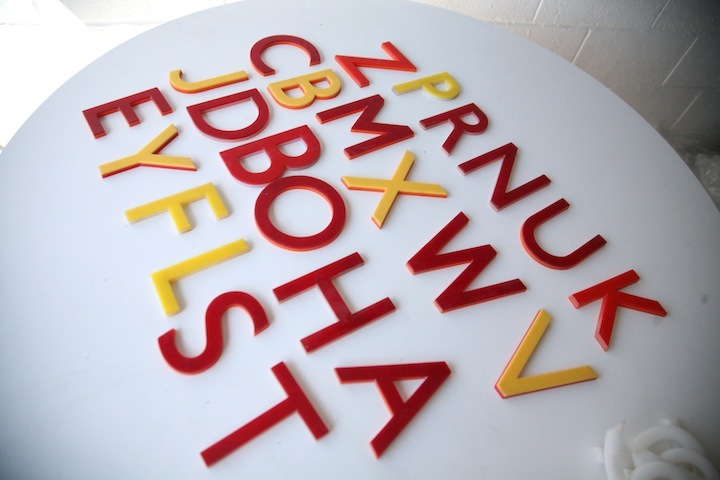 These plastic letters are in very good condition with some minor wear on the edges and light surface scratches.